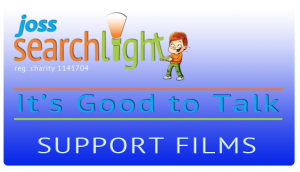 You may wish to watch our short It’s Good To Talk Films films to help you become your child’s best advocate. 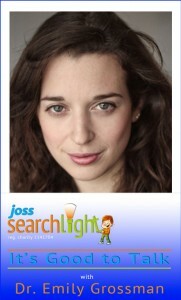 The films presented by Dr Emily Grossman, have been produced by Joss Searchlight and feature parents of children with cancer. They are are good starting point. We recommend you watch the ‘Facing Diagnosis’ film first. It tells you what to expect and suggests ways to prepare for different situations. You know your child better than anyone else -how your child best copes with fear, what cheers your child up or what upsets them. You know how best to talk to your child and how to help your child relax. You are a key part of your child’s treatment. In the last 30 years, the survival rates for children diagnosed with cancer have significantly increased from 30% to 80% percent. Treatment for side effects have improved. Children treated for cancer now have a better quality of life throughout childhood and into adulthood with fewer long-term ill effects. A treatment team – doctors, oncology nurses, radiation & oncology specialists, rehabilitation specialists, dietitians, and social workers will help your family deal with the disease with as few ill effects as possible.